This Cactus Mat 1082M-L46 Pinnacle 4' x 6' vibrant charcoal upscale anti-fatigue berber carpet mat combines a professional look with exceptional comfort! An elegant, commercial-grade 1/2" thick berber top is laminated onto 1/2" thick foam and features a tapered edge, making it ideal for department stores, hotels, banks, and other applications where a premium anti-fatigue floor covering is desired. 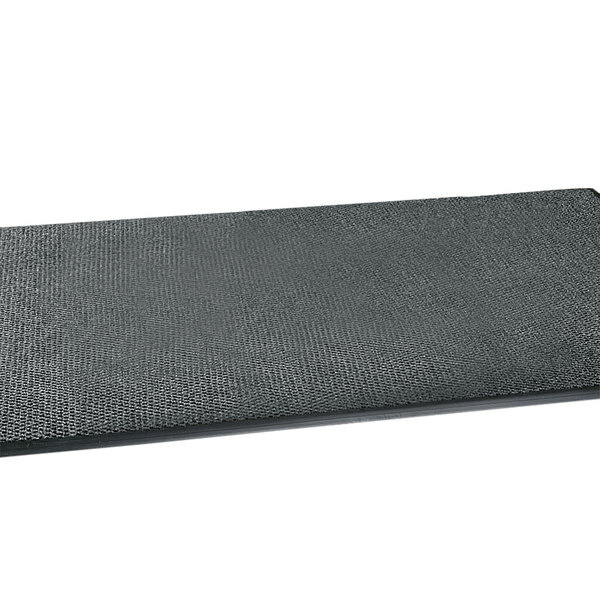 For additional support, this mat is high heel-resistant, so you can set it down without worry and let the mat go to work making employees or guests more comfortable! Berber is known for its superior versatility and durability. The secret is its tight weave design that not only stands up to frequent use, but even helps prevent staining and naturally hides footprints to keep your establishment looking neat and professional. Plus, this berber carpet mat is easy to maintain, so you can spend more time focusing on the things that really matter in your business. 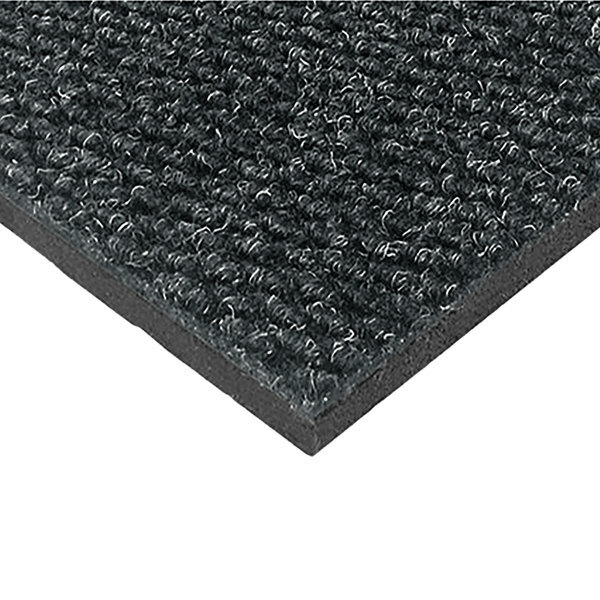 To ensure the utmost safety, this mat has a tapered edge that helps prevent tripping.